It's 11:14 in Stowe, USA right now. 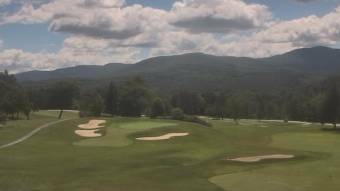 Stowe Mountain Ski Resort Webcam and current weather data - camera location: Stowe Mountain Ski Resort. Addison, Vermont: Lake Champlain, 40 miles away. Bomoseen, Vermont: Crystal Haven, Crystal Beach, 62.5 miles away. Bridgewater, New Hampshire: Newfound Lake, 75.1 miles away. Sherbrooke: Sherbrooke Airport (CYSC), 75.5 miles away. Bristol, New Hampshire: Bristol Village, 77.7 miles away. Saint-Hubert: Saint-Hubert Airport (CYHU), 78.6 miles away.